Deciding on the right university is no mean feat. 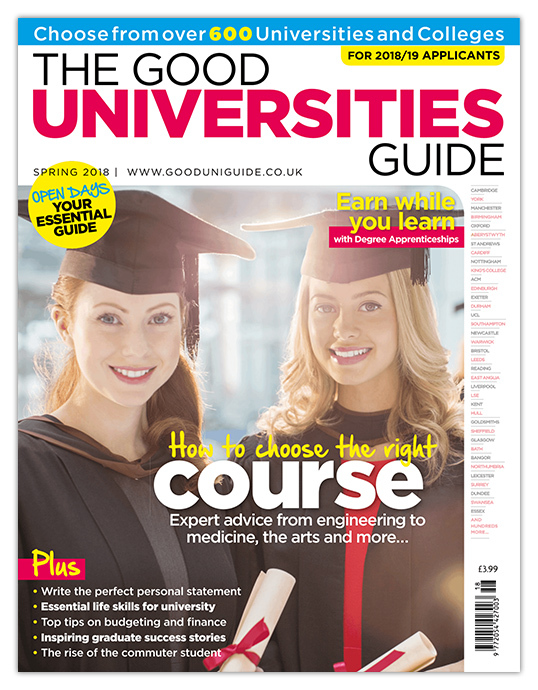 The Good Universities Guide helps you narrow down the perfect course, city and campus; offers top tips on applying to university, student finance and university life; plus provides you with a list of over 600 universities and higher education colleges. CLICK HERE for up-to-date information and expert advice at our website’s dedicated university section. CLICK HERE TO BUY your print edition of The Good Universities Guide for just £3.99. Published twice a year, our magazine includes checklists for open days, how to manage UCAS deadlines and expert advice on all you need to know on applying and choosing the right university for you.